Looking for a modern dish drying rack for your kichten? Don't miss out on this brand new product from NOVA68, sure to raise eyebrows and arouse questions when you have family and friends around. Stylish, neat, and you will be amazed how many dishes of all sizes it will hold. 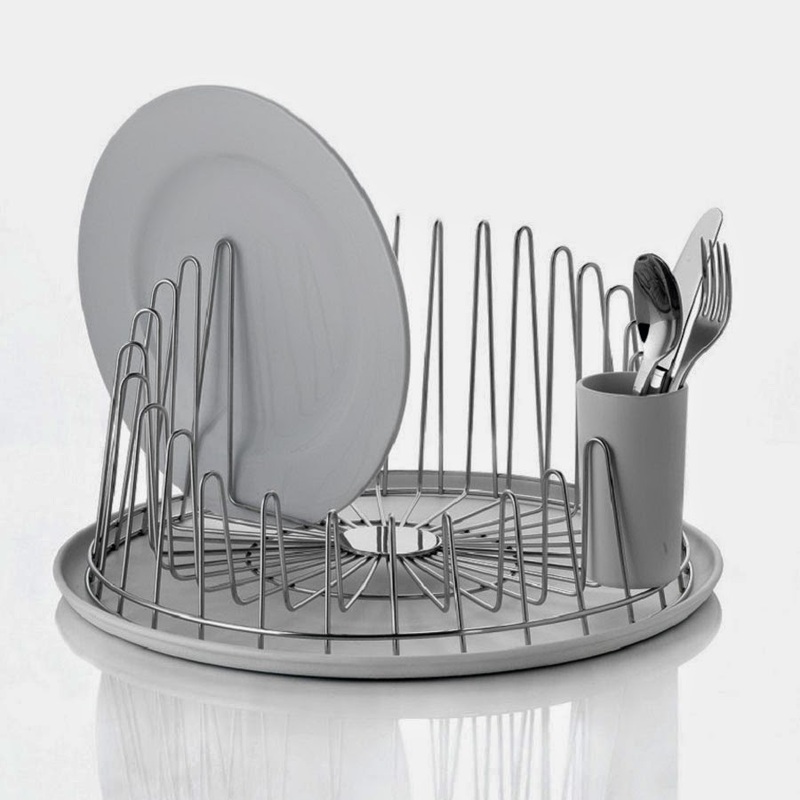 Neatly housing plates and all sorts of saucers and cup, this modern dish rack will really save you space in the kitchen. With a drip tray and detachable cutlery organizer, it holds up to 16 plates. Perhaps a tad expensive for a dish drainer, but worth it compared to whats out there at the moment.